Corporacion Aceros Arequipa SA (LIN:CORAREC1) is a Peru-based company primarily engaged in the production, distribution and sale of corrugated steel, steel wire rods, bars, boards, pipes, accessories for reinforcement and other steel products used in the construction, metal mechanics, architecture, civil engineering and mining industries. Its products portfolio also comprises a variety of steel tools and hardware articles. The Company’s products are distributed nationwide, as well as exported to Bolivia. 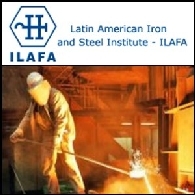 The Company’s facilities include steel mills and lamination plants established in Arequipa and Pisco. Through its 99.99%-owned subsidiary Transportes Barcino SA, the Company offers transport services for its products. In addition, it holds a 33.65% interest in Comercial del Acero SA and a 10% stake in Compania Electrica El Platanal SA.